This helpful guide looks at the essential elements of discipleship while encouraging readers to think and journal through Scripture. Christians are disciples of Christ. Since our entire identity is defined by Christ, we do well to think carefully about what it means to be a disciple. Bill Clem, an elder at Mars Hill Church in Seattle looks closely at the characteristics of discipleship. Originally written as a text for the Resurgence Training Program (Re: Train), Disciple grounds our identity as disciples in the storyline of the Bible. Careful not to be overly prescriptive, Clem instead uses Scripture and real-life stories to illustrate the essential elements of Christian discipleship. He does so by looking at characteristics and distortions of image, worship, community, and mission. He finishes with a practical chapter on weekly planning and a chapter on the multiplication of disciples. Each chapter ends with an assignment in which Clem encourages readers to journal through Scripture passages built around a particular theme. 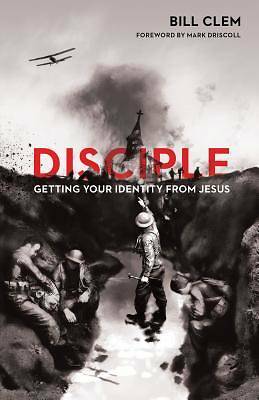 Both veteran and new followers of Jesus will benefit from this comprehensive look at what it means to be a disciple.